CBP, a mentor and education organisation that was founded by TT professional footballers Yohance Marshall, Elton John, Keston George and Sean De Silva, was an obvious fit for the young trio who were each keen to get involved in community building and philanthropy. “I was so glad to see a group like this being established in Trinidad and Tobago,” said 22-year-old Creed. Creed’s former national Under-17 and Under-20 teammate, Leland Archer, echoed his comments and was quick to offer his services to the CBP mission. “I knew that (CBP) were doing the right things by going into communities and starting this football initiative with some of the kids that don’t necessarily have the access to it. Obviously I wanted to be a part of that as it’s giving back to the community,” stated Archer. Archer is currently in his second year at USL (United Soccer League) club Charleston Battery after starring as a towering defender at the College of Charleston and was recently noted as being on TT men’s team coach Dennis Lawrence’s radar. While he can count on the advice of TT attacking midfielder and Battery teammate Ataulla Guerra, he is also grateful for the tutelage from the CBP founders during off-season training sessions. “It was a good experience learning from those fellas (like) Yohance, Julius and also Georgie,” said Archer. At 28 years old, Primus is the elder statesman of the trio having played alongside de Silva in the national Under-17 and Under-20 Youth World Cup teams in 2007 and 2009. 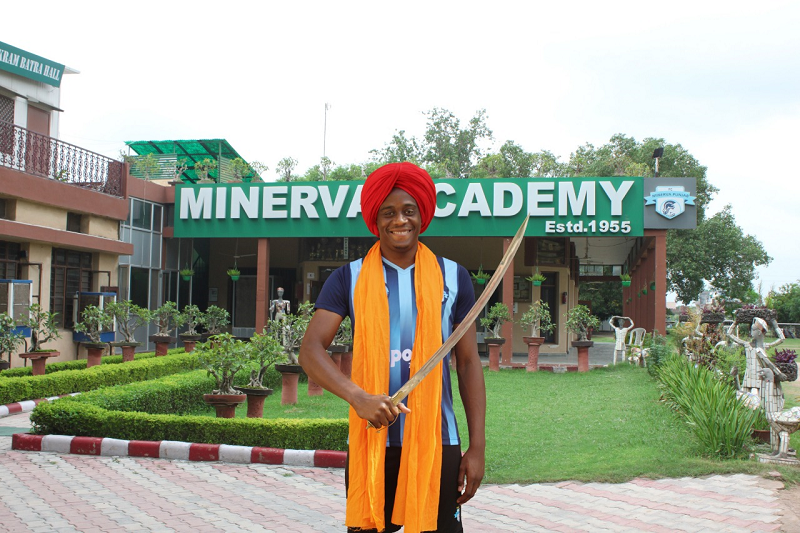 In 2019, the defender who had stints in Europe will now take his football journey to Asia to sign with Minerva Punjab FC in India’s I-League. Minerva Punjab FC is currently in preparations for the group stage of the AFC Cup. It’s definitely a completely new experience for the well-travelled defender but one in which he hopes he can use to inspire the next generation. “Knowing that you are still playing and being able to inspire the younger ones is very powerful,” said Primus. “It’s really inspiring to me. “I think we have the right minds, the right senior players like Yohance, Keston George, Akim Armstrong, etcetra. While many of the founders and new members explore their football aspirations abroad, Creed will take up the role of education manager within the Can Bou Play framework. Creed, who recently graduated with a Bachelor of Science in Civil Engineering, tutors CSEC and CAPE Mathematics and Physics while he assesses his playing options after helping Police FC to a fourth place finish in the TT Pro League last season. His new mandate will see him collaborate with other education stakeholders to incorporate subtle academic learning exercises into mentorship seminars and training sessions. Reply to "TT football trio join Can Bou Play Foundation"